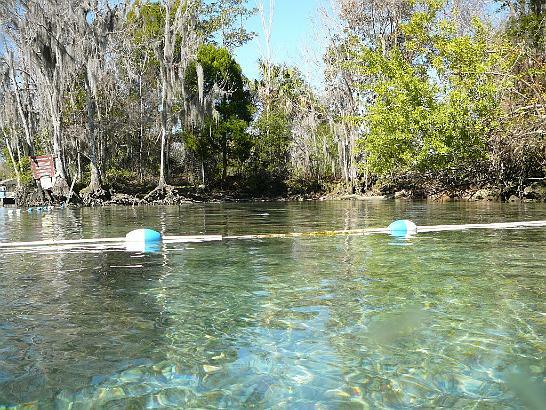 This is a manatee sanctuary. Only manatees can go past the line. All humans must stay outside. And believe me, the manatees know they have their privacy inside.